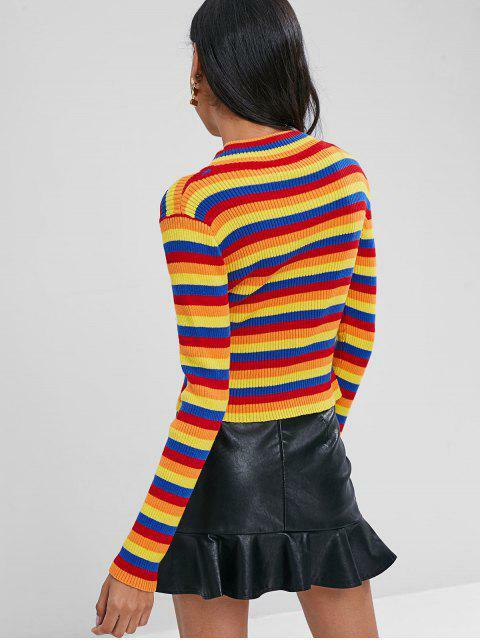 [42% OFF] 2019 Striped Ribbed Sweater In MULTI | ZAFUL .. Comfortable and fantastic material, and it’s very nice for an everyday look. Highly recommended!! 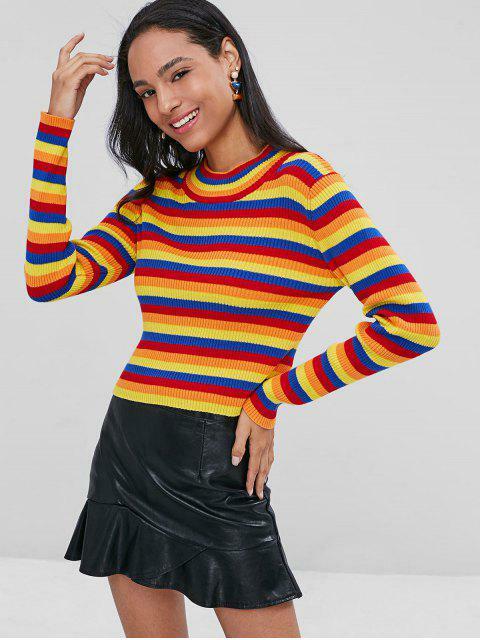 The colorful stripes design accents this sweater to add a rainbow-bright feel, while the textured rib accent throughout adds a modern edgy touch. The subtly cropped fit is a good match to pair with some high-rise jeans or shorts for a just-right-for-autumn style.